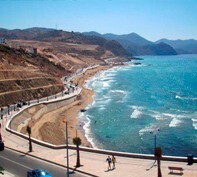 The morphology and location of the region of Al Hoceima, enjoys a combination in which coexist harmoniously Mountains, Forest and virgins coast, with a pleasant Mediterranean climate, offering visitors the perfect combination of sea, countryside and nature. 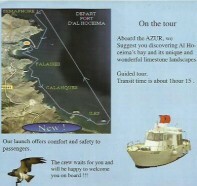 Casa Paca Alhucemas Guesthouse is situated in a privileged place to enjoy, in addition to its unique position in front of the Peñon de Alhucemas, as a strategic location for exploring the Natural Park Alhoceima and all the Mediterranean coast from El Jebbaa to Nador. One of the most beautiful and wild places of the Mediterranean, magical places which fortunately still keeps the Mare Nostrum. 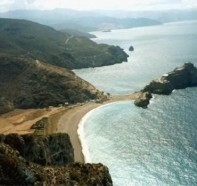 A Maritime Coast National Park to preserve all natural legacy. 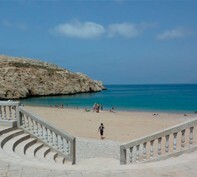 Wild mountains plummet into the sea , small islands of sublime beauty, deserted beaches and secluded coves nesting osprey. 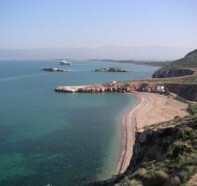 The Mediterranean landscape par excellence, small villages and hamlets of whiteness, pine, cypress native as Araar , carob, fig , and Kabila douares where life seems stopped. 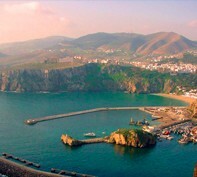 Rural souks who have not lost their essence , cities in history as Alhucemas or Al Hoceima. And many, many other places linked to our recent history. Cities and towns where the dim decline almost " vintage" of Spanish colonial past is perceived. Places of names known for their tremendous strength in that unfortunate military adventure in the Rif : Annual, Monte Arruit , Torres, Peñón de Vélez de la Gomera ... 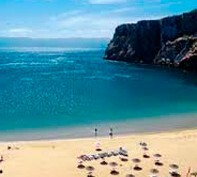 So , from the "pearl" of the Mediterranean from Morocco we propose a tour of these places , dream beaches as Kala Iris, lost towns where we find the real rifeña crafts ... , souks and traditional markets ... and the beauty of the "pearl" of Al Hoceima .